Air Canada for iOS has been updated to support Touch ID, allowing users to login with Apple’s fingerprint reader instead of entering a username and password. Back in February, Air Canada updated their iOS app with a major redesign, implementing a new logo, adding 3D Touch support, plus customized alerts. The app does not support Apple Pay yet, for purchasing tickets. 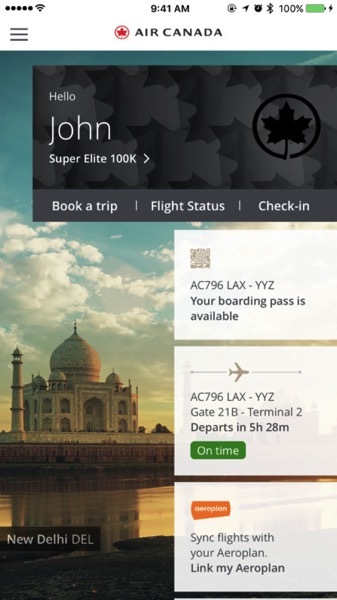 Click here to download Air Canada for iOS in the App Store.